Harvard University launches a free Massive Open Online Course (MOOC) on March 1st. The course is a response to the many misconceptions and mistrust that mark discussion and debate about religion. 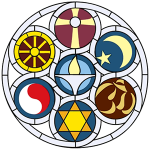 The video below describes some of these misconceptions, As Unitarian Universalists we support the right of each of us to seek the type and tradition of religious practice that most speaks to us. We also “accept one another and encourage spiritual growth in our congregations (3rd principle) and the “free and responsible search for truth and meaning” (4th Principle). Free registration for the course Religious Literacy: Traditions and Scriptures is open now.